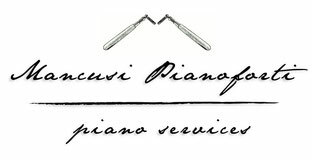 The ordinary maintenance of the piano consists in tuning, voicing and action regulating (and repairing). The piano technician also provides to the internal cleaning and lubrication of the pins: these are the basic conditions for optimum performance. Consists in adjusting the strings' stress, or the frequency of vibration. It's necessary to perform it periodically, regardless of usage of the instrument, in order to maintain the proper loading on the soundboard, then the ideal height and sound quality. Is the adjustment of the voice of the Piano. The various steps of voicing allow to get the homogeneity of timbre, the optimization and customization of the sound and its adaptation in relation to the environment in which the instrument is located. For the best results, the voicing work is performed after mechanical adjustments and tuning. Homogeneity and fluidity of keyboard and action are the basic conditions that every pianist wishes. 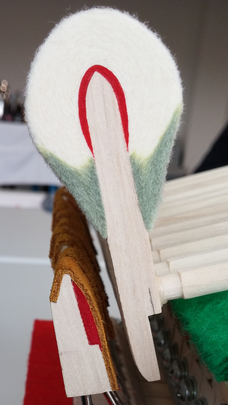 The felt, leather, wood, plastic and metal parts constituting action are very sensitive to variations in temperature and humidity, because of their chemical-physical characteristics. Periodic maintenance is aimed to repair (or replace) worn parts (or broken), prevent criticalities and maintaining measures of mechanics in the correct limits. Action adjustment is usually preceded by cleaning and lubrication of pins and moving parts. The technician has to point any possible problem related to wear, then propose corrective action. The maintenance is aimed to preserve the original characteristics thus the subsistence of the piano in time.